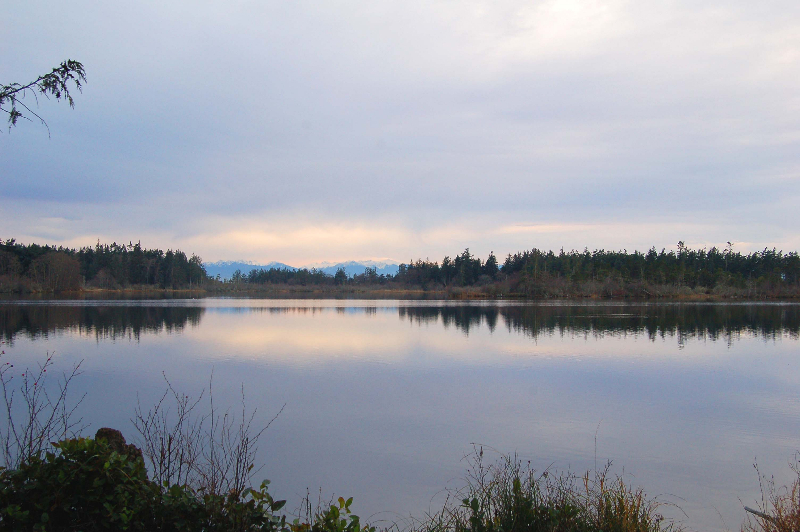 On a geological timescale, Cranberry Lake is a relatively recent addition to Deception Pass. Around 15,000 years ago, during the Fraser Glaciation, the Puget Sound region was covered by a lobe of the Cordilleran Ice Sheet. In some places, the sheet was over 3,000 feet thick. 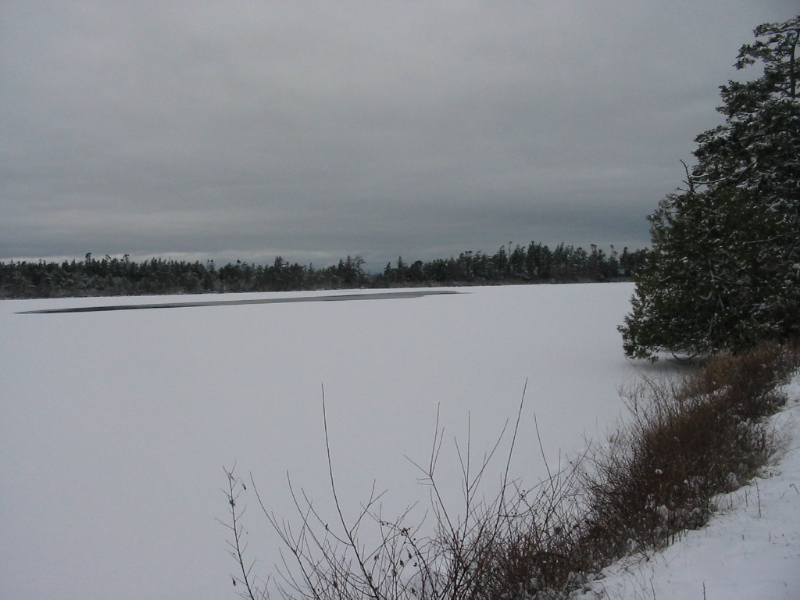 The basin of Cranberry Lake was one of many regional geological features carved by the retreat of the ice sheet roughly 14,000 years ago. Cranberry Lake used to be a saltwater inlet. Over thousands of years wind action from the west created the thin strip of sand dunes that now separate the lake from nearby West Beach. Evidence of the lake’s salty past exists in a pocket of saltwater at the deepest part of the lake. 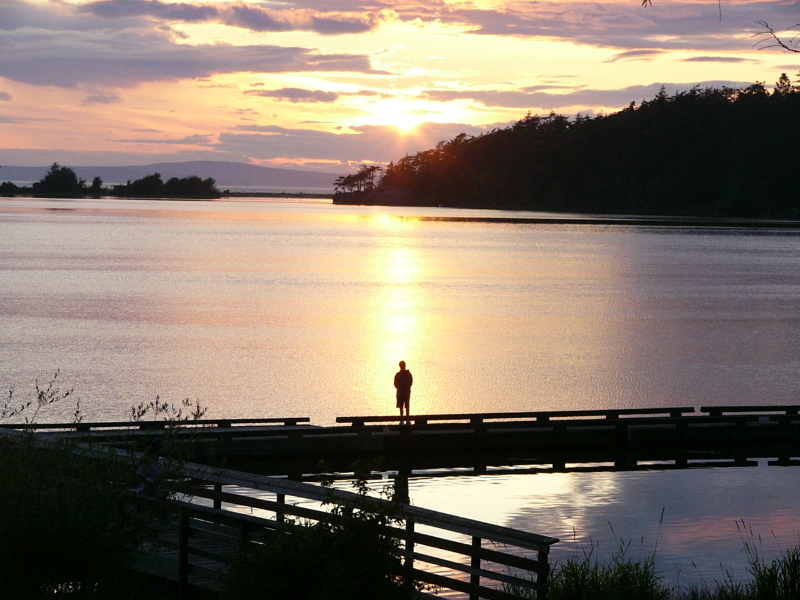 Its name originates from the settlement days of Whidbey Island when farmers grew cranberries along the boggy edges of the lake. 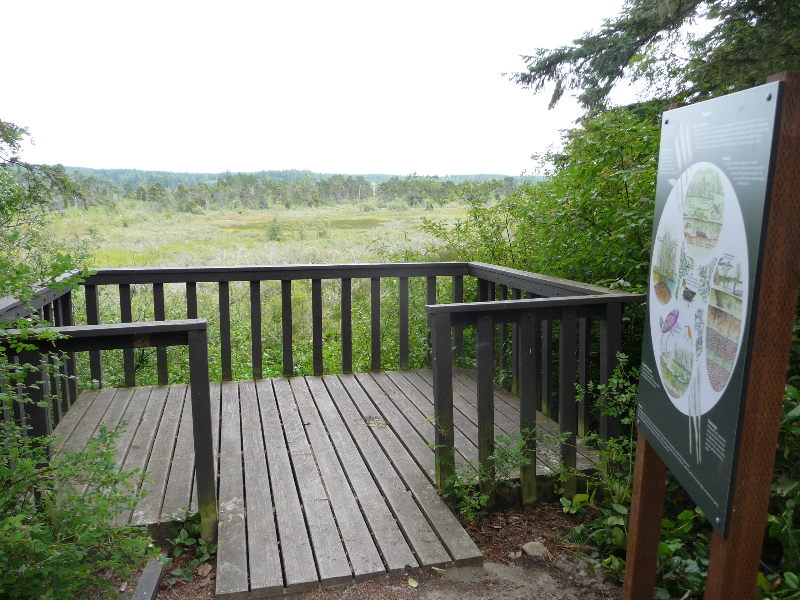 During the summer, Cranberry Lake is a popular location for swimming, boating and fishing. There is a sandy beach with an enclosed swimming area on the west side of the lake and water temperatures are typically between 55 and 60 degrees (much warmer than the ocean waters to the west). German brown and rainbow trout, smallmouth bass, and perch can be caught from boats or from the shore. Only human-powered or electric motor boats are allowed in Cranberry lake. A seasonally operated concession stand rents paddle boats at the west end of the lake. 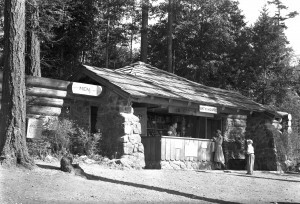 On the east side of the Lake, there is a long wooden dock and several covered kitchen shelters built by the Civilian Conservation Corps in the 1930s.